The laundry faucet has a cast brass body with straddle legs and direct sweat supply connections. The stems are all brass with a double O-Ring seal and rubber seat washer. 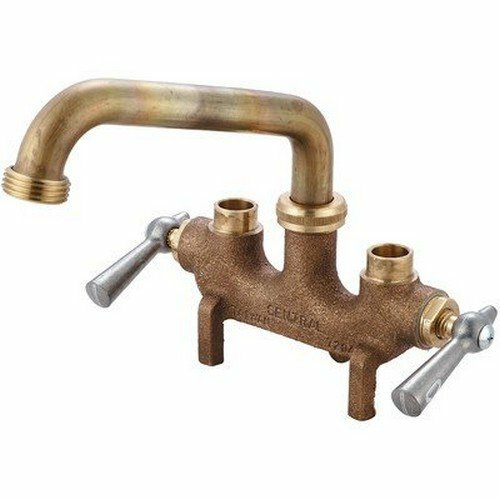 The 6-inch brass swivel spout has a hose end adapter. The laundry faucet has a rough cast brass finish.